If you have been charged with Boating Under the Influence (BUI) in Washington State, you are facing gross misdemeanor criminal penalties. The crime is punishable by up to 364 days in jail, a $5000 fine, and up to 2 years of probation. For a boating DUI arrest in WA State, charges will be filed in the criminal court that has jurisdiction. For example, if you were arrested by Seattle Police, the case will be in Seattle Municipal Court. If you were arrested by a King County Sheriff, your case will be in King County District Court. A BUI conviction does not require that the judge impose mandatory jail time or fines. A DUI conviction has mandatory penalties. A BUI conviction does not have driver's license consequences. A Driving Under the Influence conviction will result in a license suspension. A boating DWI conviction does not have ignition interlock requirements. A DWI conviction has at least a 1 year Ignition Interlock requirement. During a Boating Under the Influence arrest, if you refuse a breath or blood test at the police station, there is a civil fine that ranges between $1000 and $2050. In a DUI case, there is a mandatory driver's license suspension for refusing a breath or blood test at the police station. There are no mandatory enhanced penalties for multiple drunk boating offenses. In a DWI case, there are mandatory enhanced penalties for each additional conviction. A drunk boating arrest should not be taken lightly. A conviction will be on your permanent criminal record and will likely need to be disclosed on applications for employment, housing, security clearances, and higher education. There are normally several evidentiary issues that can be discovered when we defend people accused of a crime on a powerboat, sailboat, or jet ski. For example, the police must have probable cause to do a criminal investigation on your watercraft. 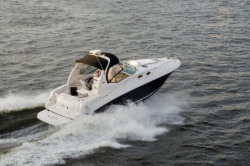 Although it is easy to find probable cause for a land DUI (e.g., erratic driving or not using a turn signal) it is much more difficult for the police to have a legal reason to pull you over on a boat. This is especially true during the emphasis patrols that occur on Lake Washington, Lake Union, and Puget Sound around July 4th and Seafair Weekend. If you participated in field sobriety tests (including the portable breath test), we can often times get the results suppressed. This is because the test methods used are scientifically questionable and it can be difficult for the state to prove that you were aware of the voluntary nature of the tests. Cristine Beckwith is criminal defense attorney with a proven track record for defending people accused of a boating related crime in Seattle, Tacoma, Bellevue, Olympia, and throughout the Puget Sound. She has offices in Seattle and Tacoma and can be called for a free consultation.